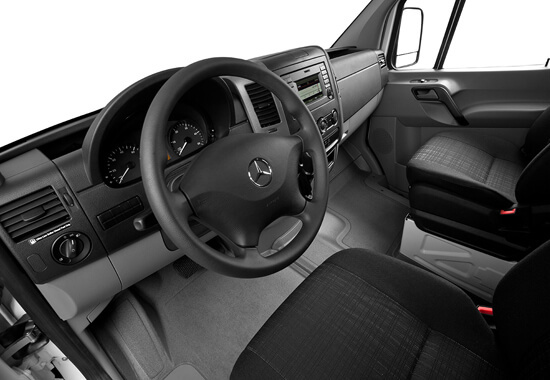 The Mercedes Benz Executive Sprinter Van offers premium leather seating to convey the luxury clients expect. 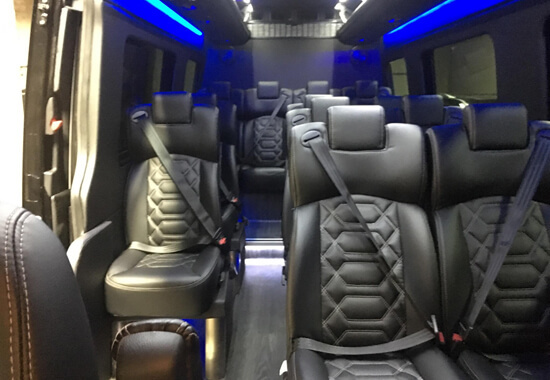 Transportation with unrivaled luxury for 13 passengers, an interior standing height of up to 6 ft. 4 in. 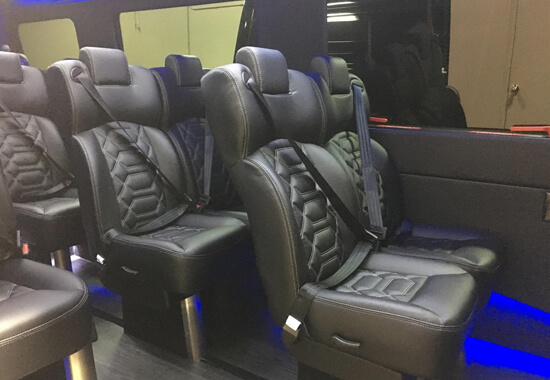 This vehicle has a separate rear luggage compartment for all of your transportation needs. 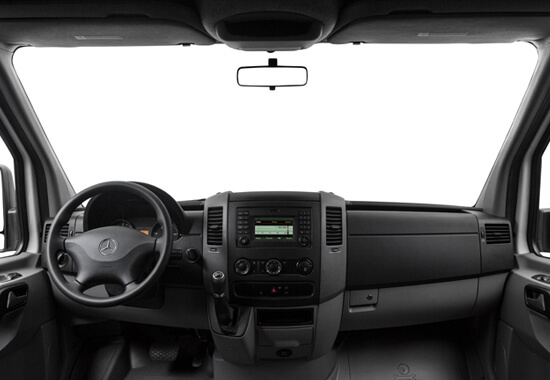 The executive passenger van comes equipped with a refrigerated ice-chest, free WiFi and a premium surround sound system.